Robert Towell Architect Ltd. (RTA Ltd.) recently celebrated a milestone with over 15 years in business on island by opening a new office in the Concord Centre on MacClendon Drive, as well as launching new and progressive commercial and residential architectural design projects in 2013. Grand Cayman will witness the latest hotel phase for Morritt’s in East End with a new five-storey timeshare hotel named the ‘Londoner’, and Bodden Town will have its own long anticipated ‘Beach Club Resort’. 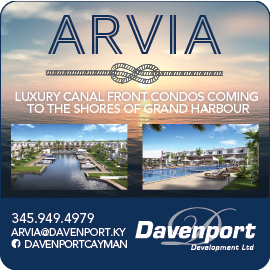 The highly coveted ‘Crystal Cove’ modern residential project by Davenport Development Ltd. has started construction and a series of mid to high range custom home developments will also commence in early 2013. RTA Ltd. would like to thank loyal clientele, colleagues and friends for their patronage and support in the last 15 years.